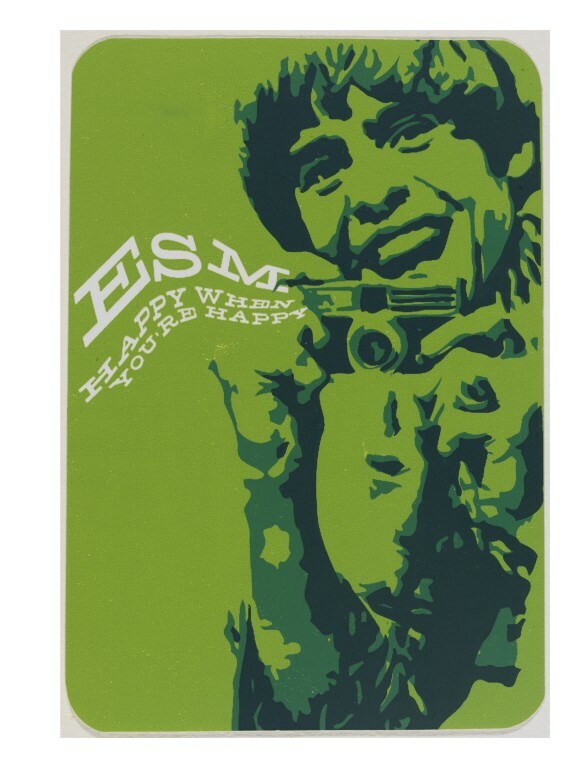 This sticker is by a Canadian street artist called Kenn Sakurai/esm-artificial, and shows Davy Jones, singer with the American band The Monkees, smiling and pointing the camera at the viewer. It plays on a familiar image; the big grin and the slogan ‘Happy when you’re happy’ nod to retro irony. Contemporary sticker ephemera often utilises familiar images of pop and film stars, politicians and cult figures. Stickers like these are a part of the street art phenomenon, usually stuck on walls alongside stencil work and tag graffiti in urban areas. The simplicity and cheapness of the medium makes it attractive for young artists, and stickers crop up not only in graffiti sites but on buses and tube trains. Twenty-first-century psychedelia, demented cartoon characters, recycled film stars and a wild variety of visual references come together in a visual riot. 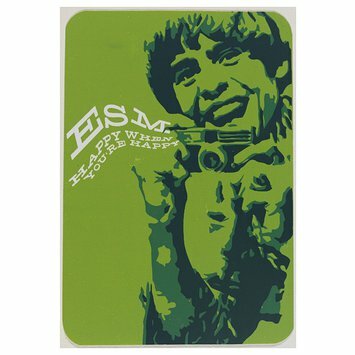 A sticker showing Davy Jones of the Monkees taking a photograph. The background is bright green and the image is in shades of green and blue. Displayed in the Link Corridor in Aug-Oct 2005 in the 'Street Art' display. 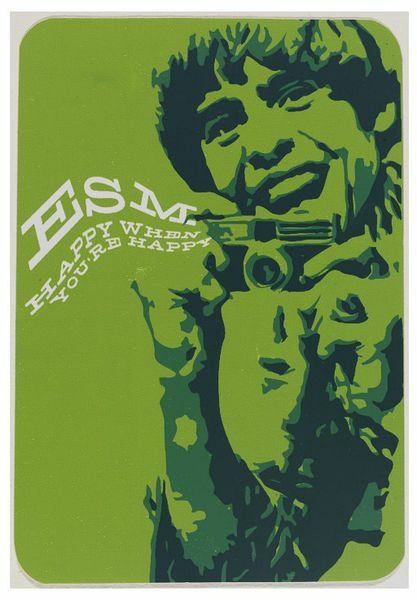 Sticker by Kenn Sakurai/esm-artificial, Canada, ca. 2004.